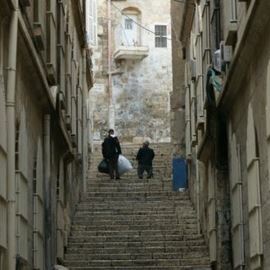 The Via Dolorosa, the road Jesus walked from the place of Pontius Pilates sentencing to Golgotha, means way of sorrows. 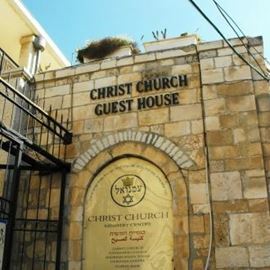 Christian visitors are sometimes startled to realize the market atmosphere through which they walk is what Jesus would have seen that Friday. Christians have been walking these same 14 stations for at least 1,000 years. 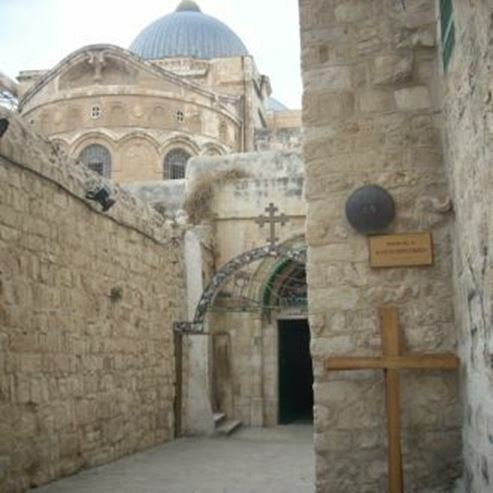 The first and the last are the most famous: the Praetorium, up which Jesus carried the cross, with its ancient flagstones, and the venerable Church of the Holy Sepulcher, the site of the crucifixion and the empty tomb. 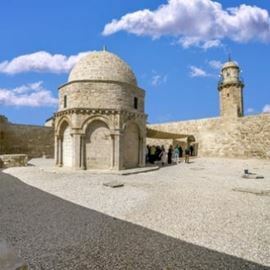 Each station has its story, in a setting that despite, or because of, its present-day atmosphere, imparts an authentic sense of Jerusalem as Jesus experienced the city in those last hours. Photographer: Etel pres.. From a PikiWiki.